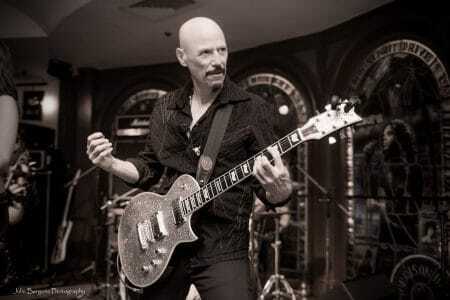 BOB KULICK IS A ROCK N ROLL LEGEND. 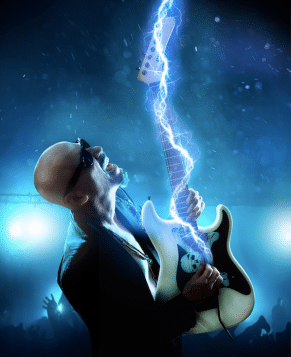 MOST FAMOUS FOR HIS WORK WITH KISS, BOB KULICK HAS ALSO PERFORMED FOR A WIDE ARRAY OF ARTISTS INCLUDING MEAT LOAF, MÖTORHEAD, DEE SNIDER, W.A.S.P. AND EVEN MICHAEL BOLTON. AFTER DECADES IN THE INDUSTRY, BOB KULICK FINALLY RELEASED HIS DEBUT SOLO ALBUM ‘SKELETONS IN THE CLOSET’ LAST YEAR. WE ASKED BOB ABOUT HIS NEW ALBUM AND DIVED INTO SOME QUESTIONS ABOUT HIS ILLUSTRIOUS CAREER. 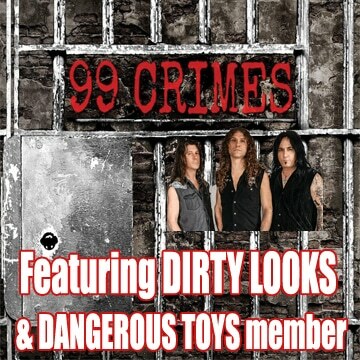 Sleaze Roxx: Thank you for taking the time to talk to us today. Sleaze Roxx: I’d like to begin with the reason I wanted to do this interview in the first place. You released a solo album last year that completely flew under my radar, but upon hearing it, I discovered it was truly great and deserves some attention. Tell us a little bit about ‘Skeletons In The Closet’ and what made you decide to finally do a solo album after so many years. And so she then introduced me to my co-producer, Bobby Ferrari, who had a great studio that we recorded at called Vegas View Recording. And I was able to get all of the people that I wanted to be on the record because all these guys had either sang or played for me on numerous projects I had done, or that they were just friends of mine that I had worked with. The cast on the record is Dee Snider, Robin McAuley, Andrew Freeman, Todd Kerns, Brent Fiz, my brother Bruce Kulick, Vinny Appice, Rudy Sarzo, Frankie Banali, Vick Wright, and Dave Eisley. They are all great friends and people that I’ve worked with before. So it turned it into not a challenge, but a labor of love. We did five new songs and used five songs from my career that were overlooked, which felt like skeletons in the closet, hence the title of the record. We put all of those together on a record to flesh it out so we could have a ten song album as opposed to a five song EP. That’s pretty much how this thing came about. I was very fortunate to have the people working with me that I did. They are all friends, all pros, all great. It was done with love and affection. The other person I want to mention is Doug Kastaros, who was my old bandmate in a band I was in called Balance. He co-wrote four of the five new songs that are on there. So, that’s how this whole thing came about in the middle of all of the other stuff that I’m doing. 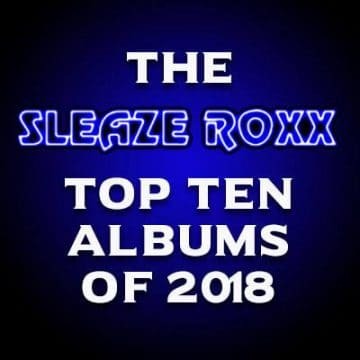 Sleaze Roxx: Personally, I was really impressed with the record and definitely appreciated a lot of the lyricism on the record. Stuff like “London” which is sung by Dee Snider is very cool, but there’s some great romanticism on there too. The heartfelt emotions for your girlfriend are expressed really well through the music and shine brilliantly. Bob Kulick: Thank you very much. What the world needs now is love. 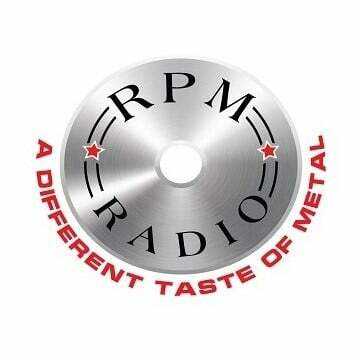 Sleaze Roxx: I want to touch a little bit upon your time playing for KISS in the studio. In previous interviews, you’ve expressed that the work situation on the ‘Alive II’ studio tracks was very different than the work situation recording the tracks for ‘Killers.’ How would you describe the different approach you were asked to take on each recording? Bob Kulick: I think the main distinction is that for the KISS ‘Alive II’ studio side, the idea was that we didn’t want to put lead guitars on there, that would raise a red flag. We didn’t want anyone to think that Ace wasn’t on the record. So everybody Gene, Paul, the producer Eddie Kramer, and I all tried to keep it Ace-like. Obviously, there were riffs and parts of the record that were not Ace-like, but I don’t think anyone in the audience ever stopped the recording and said, “That note there, I don’t think that Ace would have played that.” I don’t really think that was the case. We were able to put something on there that was relatively in the ballpark of what Ace was playing, which was way in my wheelhouse as part of my style. So there was that change of them wanting to up the ante a little bit. They weren’t concentrating so much on, “Does it sound like Ace?” but concentrating on something that would help their cause and make fans think that the guitars were getting better. And obviously, after KISS ‘Killers’, Vinnie Vincent appeared, and then Mark St. John, and then my brother. All three of them are accomplished guitar players. I think that this was the first step, shall we say, from switching over from Ace to someone else. Sleaze Roxx: Speaking of KISS’ ‘Alive II’, I’d like to touch on a new band that’s out called Klassik ’78. The record really emulates the KISS’ ‘Alive II’ sound. The band has stated that ‘Alive II’ was really the last time that KISS sounded like classic KISS. The guitar tone and style the band is going for is very much ‘Alive II.’ It doesn’t sound like ‘Love Gun’ or ‘Rock And Roll Over’, it sounds like ‘Alive II’, which those guys are considering peak KISS. So, how do you feel about someone emulating specifically the Bob Kulick guitar sound and saying, “This is what we view as the pinnacle of KISS.” What are your thoughts? I was reading that Blackie Lawless was redoing The Crimson Idol. Now, could somebody learn all the solos I did on that record and do them? The answer is of course. Of course, that’s what people do. Is it going to sound exactly the same? No, it’s not. It’s not that guitar, it’s not that amp, it’s not that person. Can it be close enough to fool the uneducated ear? Yes. Absolutely. But is it really, really that? No, it’s not. So the answer is yes and no. Yes, it can fool somebody and sound exactly like it, but it really isn’t. Sleaze Roxx: You co-wrote the KISS song “Naked City” and previously had mentioned you didn’t care for the chord voicings that KISS used in their recording of the song. What is the difference between the way you wrote the track and what ended up on the album? Bob Kulick: What I meant was that Ace voiced the chords by separating the main rhythm part into two parts by playing the bass notes with another chord, rather than the way I did, which was using my thumb to fret those notes. It was different than what I did and sounded a little different because of that. The actual arrangement of the song, I had no problems with and all the parts fit seamlessly and were laid out really nicely. It was just a matter of how they decided to present that guitar part that I did on one guitar as a double. Ace ended up using as four guitars to do the two separate parts. 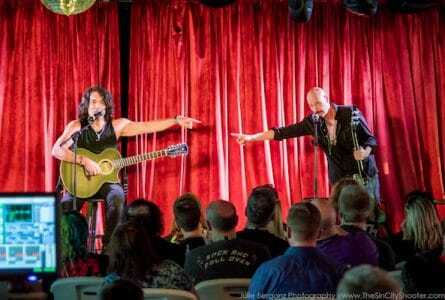 Sleaze Roxx: So, you and your brother are both phenomenal guitar players. How would you compare and contrast your styles? How are you similar and how are you different? What is something that Bruce does a little better than you at and what is something you do better than him? 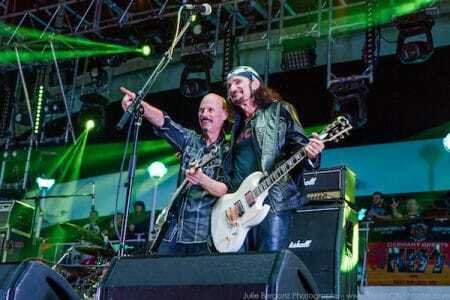 Bob Kulick: I would say that we’re both hard rock blues guitar players with a heavy metal overtone. We both share that, but there are some differences between us. For instance, Bruce is a real jazz lover. He knows a bunch of jazz chords and delves into stuff like Dean Martin, which is really nice. Me, I’m more of a slide guitarist than he is and am more of a slide blues player specialty item as opposed to a jazz player. However, he can dabble with slide guitar and I can dabble with some of those chords as well. But that’s mainly the difference in what he likes and what I like. He’s able to play some of those pieces I wouldn’t be able to get around. Having said that, I’ve produced stuff like our heavy metal tribute to Frank Sinatra, ‘Sin-atra’, and the big hits that Sinatra has use jazz chords in a lot of those songs, and we turned those into rock songs. So it’s not like that I don’t know about that stuff, I’m just not as into it as my brother is. 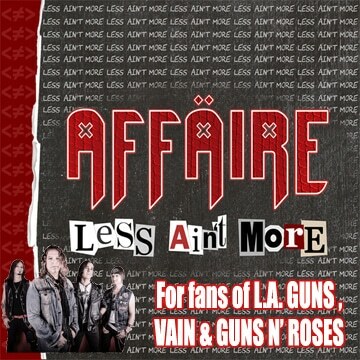 Sleaze Roxx: That was a great album. My personal favorite work out of your entire body of work is the ‘Dee Does Broadway’ album, which you produced and played guitar on. Bob Kulick: Thank you. That was another one that had a few jazz pieces on there where I was able to do my bit on making it sound more rock. My brother, as I was saying, is a guy who can sit down and play a really involved jazz piece on guitar, which is a really cool thing for him, but me, I have less interest in that generally. But those songs, “Luck Be A Lady”, “Cabaret”, “Sweeney Todd” — all those showtunes that we did on Dee’s record were very challenging to come up with a rock arrangement for. But it was very fun to do. Sleaze Roxx: And my last question, what advice do you have for young musicians out there? What’s your advice for the kids? 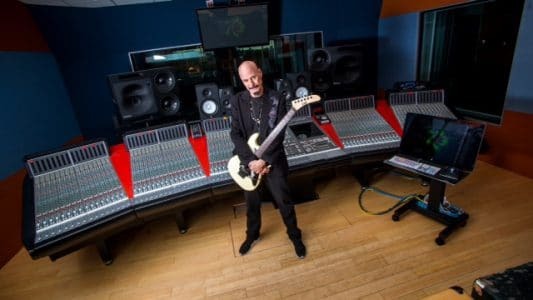 Bob Kulick: My advice is to study the classics. Go back to The Beatles and The Rolling Stones and see where this all came from. If that’s what you’re passionate about, then you need to go back and look at The Yardbirds and look at where Eric Clapton, Jimmy Page and Jeff Beck came from. You need to be a bit of a historian now ’cause this will give the path to see what those bands did that led us to where we are now. If you’re a guitarist, learn chords and don’t just try to learn solos. Learn about song structure. At the end of the day, no matter how good we are, people remember songs. And if you can write a song along with a great solo and some really cool chords that you’ve come up with, then you’re really gonna compete. There are three things I would say, as a guitar player, that you need. The first thing is patience. Patience to learn, patience to move from where you are now and maybe moving to a band and career. The second thing is commitment. Commitment, so you can’t throw your guitar on the ground when you can’t play that right chord. Pick up the guitar and keep trying until your fingers learn the hand eye coordination. And the third thing is flexibility. Flexibility — the ability to know say, “You know what, I need to set my sights on learning these chords before I learn this solo. I need to maybe play in a baby band and learn the ropes first before I play in a professional band.” Being flexible enough with stuff like that. Once you can do all of that, then I think you have a shot.